Weatherford supports the sustainable development and production of oil and gas resources, wherever they exist, to ensure the world’s current and future energy needs can be met safely, efficiently and economically. Weatherford focuses specifically on reducing customers' costs and risks with competent personnel, reliable products and consistent, safe performance at the well site all of which underpin our credibility as an oil field service company. Weatherford provides a working environment where its employees can act to make a difference in the company's performance for its customers and shareholders. This shows in the way we do business with our customers. We intimately understand the customers’ needs, are agile and easy to do business with. We will continue to strengthen and develop, by combining our products, services and capabilities in ways that will allow the world’s oil and gas companies to deliver their reserves whatever the challenges of the reservoir or the location. At Weatherford, strong performance is recognized and rewarded. In exchange, we are committed to providing you with expanding responsibilities and challenging projects that will make a direct impact in the industry. Responsible for the implementation of health, safety and environment programs and procedures. Adhere to Safety procedure and policies in accordance with safety management system (including: active participation and contribution to specific safety initiatives in meetings, report all hazardous and unsafe acts, actively promote positive safety culture). Adhere to Quality procedure and policies in accordance with the ISO9002 (where applicable) quality assurance system (including: compliance to work instructions, raising corrective actions for all non-conformances, identifying areas requiring improvement and / or audit). Ensures that post-job all Weatherford equipment is properly serviced, maintained and stored to ensure that the equipment will be in good order for the next job. Maintains full and accurate records of equipment usage, inspection, redress, repair and servicing in asset history folders. Minimum of 5 years relevant oilfield experience, including 3 years with associated handling tools. Minimum of 3 years in a similar position. If the link can not be opened, then the vacancy is closed. Beware of fraud, we never ask any kind of rewards for job information on our site. If any party on behalf of the company asks you to send money for any purpose, then it is certainly a fraud. 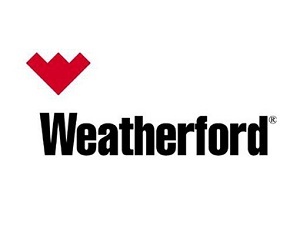 Thanks for reading Weatherford Indonesia Jobs: 2 Positions. Please share...! 0 Comment for "Weatherford Indonesia Jobs: 2 Positions"